NovoRapid (Novolog in the United States) are the brand names for Novo Nordisk's fast-acting type of human insulin aspart. 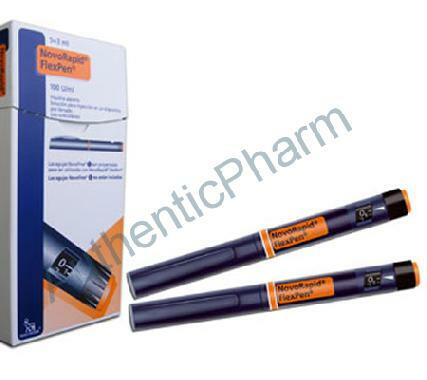 When NovoRapid is injected, it is extremely fast-acting, and works rapidly to normalize blood sugar levels. It typically begins working after 10-20 minutes, and will last for between 3 and 5 hours. It may be injected before a meal, and sometimes immediately after, to ensure strict control of post-prandial levels. Novo Nordisk has designed some unique insulin pens that allow for easy injection. These are called NovoRapid FlexPen.